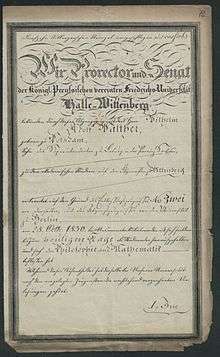 The university was created in 1817 through the merger of the University of Wittenberg (founded 1502) and the University of Halle (founded 1691). The university is named after the Protestant reformer Martin Luther, who was a professor in Wittenberg. 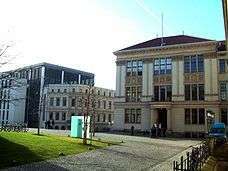 Today, the university itself is located in Halle, while the Leucorea Foundation in Wittenberg serves as MLU’s convention centre (and hotel) for seminars as well as for academic and political conferences. Both Halle and Wittenberg are about one hour from Berlin via the Berlin–Halle railway, which offers Intercity-Express (ICE) trains. 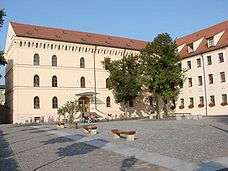 The University of Wittenberg (Universität Wittenberg) was founded in 1502 by Frederick the Wise, Elector of Saxony. Under the influence of Philipp Melanchthon, building on the works of Martin Luther, the university became a centre of the Protestant Reformation, even incorporating, at one point in time, Luther's house in Wittenberg, the Lutherhaus, as part of the campus. Notable attendees include George Müller, Georg Joachim Rheticus and – in fiction – William Shakespeare's Prince Hamlet and Horatio and Christopher Marlowe's Doctor Faustus. 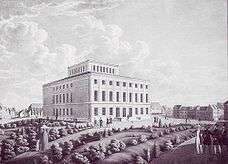 In the 17th and 18th centuries the universities were centers of the German Enlightenment. Christian Wolff was an important proponent of rationalism. He influenced many German scholars, such as Immanuel Kant. Christian Thomasius was at the same time the first philosopher in Germany to hold his lectures not in Latin, but German. He contributed to a rational programme in philosophy but also tried to establish a more common-sense point of view, which was aimed against the unquestioned superiority of aristocracy and theology. ↑ Due to rather homogeneous standards of teaching and research, German university rankings generally are far less significant than for many other countries. 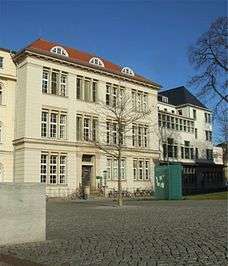 Nevertheless, for example, MLU’s faculty of economics outranks University of Heidelberg, the oldest (and often considered as the foremost) German university, in 13 of 19 tested categories, according to the 2007 survey of German Academic Exchange Service.